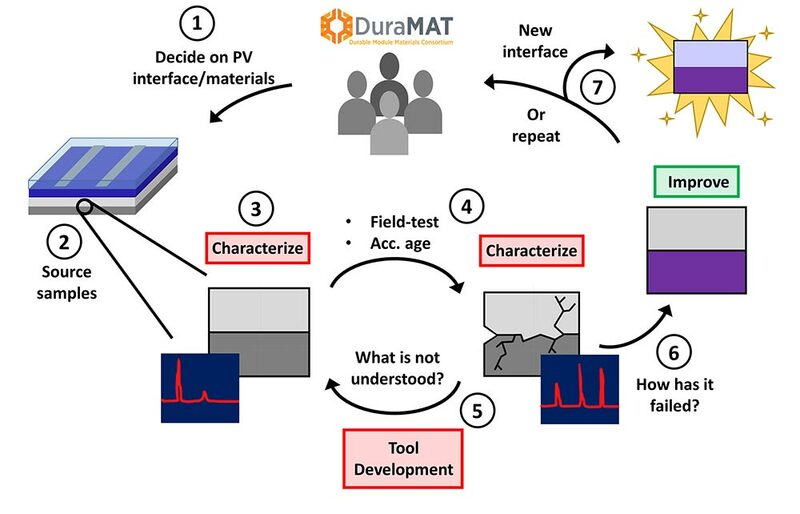 DuraMAT establishes methods for photovoltaic (PV) module materials characterization and forensics. These methods provide empirical data for understanding module failures and degradation mechanisms, and for developing new module materials with our industrial and academic partners. Our approach provides a route to materials improvements and rapid validation of prototype materials. This requires rapid development and testing of current state-of-the art and new prototype materials. It will be accomplished quickly using a combination of national lab's advanced characterization and high-throughput forensics capabilities. Materials characterization and forensics provide high-quality, in-depth characterization of module materials. Over the long-term, these data can provide a path to improved materials development and design. They may ultimately lead to the discovery of new materials and successful adoption of materials from other industries. This capability area focuses on providing the data that serve as the foundation of this “data to design to discovery” path. To learn more about this capability area, contact Mike Toney or Laura Schelhas.